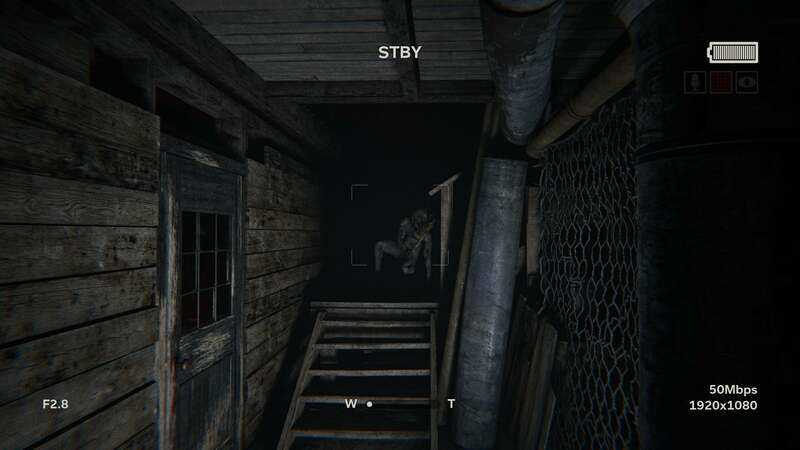 Outlast 2 has a few solid horror moments, but undermines those scares with tedious gameplay. 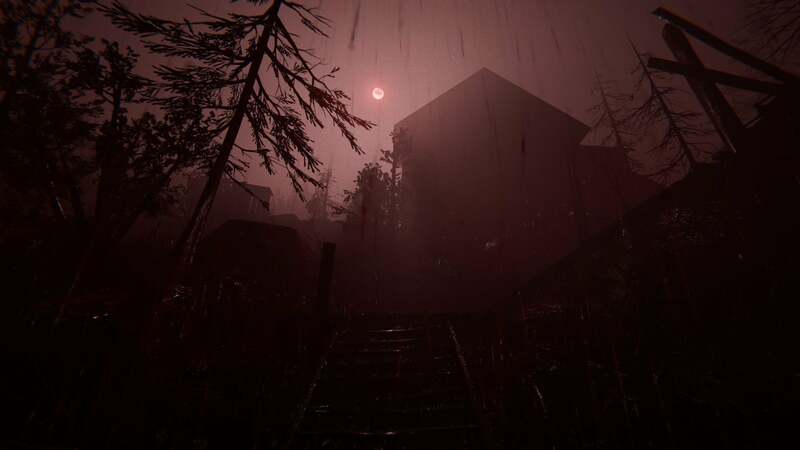 This horror game serves up fear and frustration in equal measure. Familiarity breeds contempt, and there’s no genre more vulnerable to contempt than horror. Even the most creative scare becomes banal given enough repetition, with the magic replaced by mundanity as soon as we understand the trick to it. Outlast 2 is proof of this fragility, of the delicate knife-edge developers walk between terror and tedium, mysterious and melodramatic. 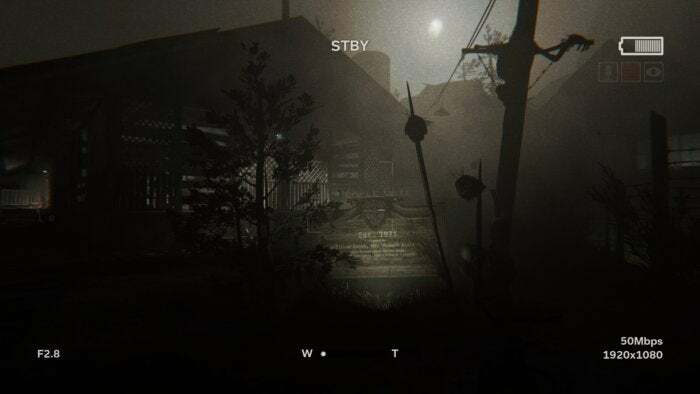 And the worst part is that, given the root cause, Outlast 2’s problems only become apparent late in the game when players have exhausted the bag of tricks and seen them again and again and again. It’s terrifying, until it’s not. Then it’s just disappointing. Horror is subjective of course—more than most genres. Not all of my complaints will apply to everyone, and if you’ve made it through Outlast 2 and love it then more power to you. Fear is a tricky emotion to gauge. And the setup is great. Ditching the cliché corridors of Outlast’s abandoned mental hospital for the just-as-cliché cornfields of rural Americana, Outlast 2 sends you crashing into the backwoods, helicopter ablaze. You and your wife are separated, and as if that weren’t already cause for concern, you soon discover the area is littered with members of a cult. Crazed leader, physical and sexual abuse, the whole gamut of religion’s worst chapters is on display here. Oh, and they think your wife is pregnant with the Antichrist. You’re going to be a dad. Congrats. The opening hour of Outlast 2 isn’t quite as well-paced as the opening hour of its predecessor, but it’s close. You’re left to trudge through an eerie countryside, punctured here and there by crucified cult members and stacks of burning bodies while deranged leader Father Knoth hollers his makeshift scripture through a crackly PA system. 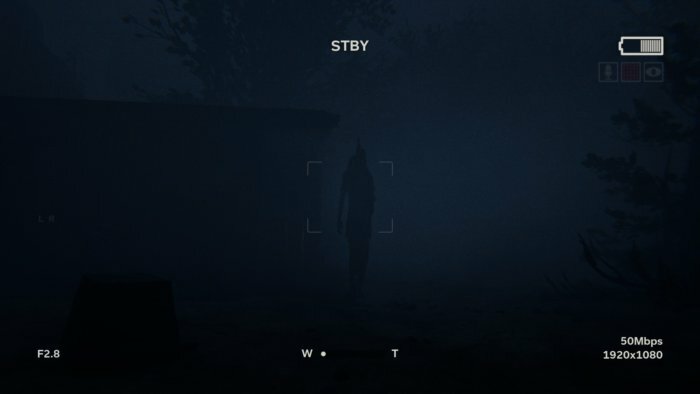 Outlast 2 understands atmosphere. Its world is grisly, repulsive, sadistic, with the tranquil blue light of the full moon an excellent juxtaposition to the atrocities below. These nightmarish scenes also serve to introduce Outlast 2’s new camera gimmick, which feels fresh at the start. In the original Outlast you were ostensibly “filming” your adventure, but nothing really came of it except you could use the camera’s night vision. That aspect is preserved for the sequel, but now you’re also prompted to record certain events, a red circle filling up as you capture footage. It’s an interesting twist on the usual audio-log collectibles, as well as excellent justification for you playing a journalist. The camera’s more than just pseudo-found footage aesthetic. But in a baffling design decision, the game then wants you to watch back the footage you just recorded to hear your character’s thoughts. Why he couldn’t just say those thoughts the first time around is anyone’s guess, and I came to resent the game asking me to stand still for ten seconds, record, then stand still another ten seconds to watch back the same events again. And here we start to see the cracks, early in the game. The next crack? Marta, some sort of ultra-powerful disciple of Knoth’s, who wields a pickaxe shaped like a cross and uses it to kill you ad nauseum. 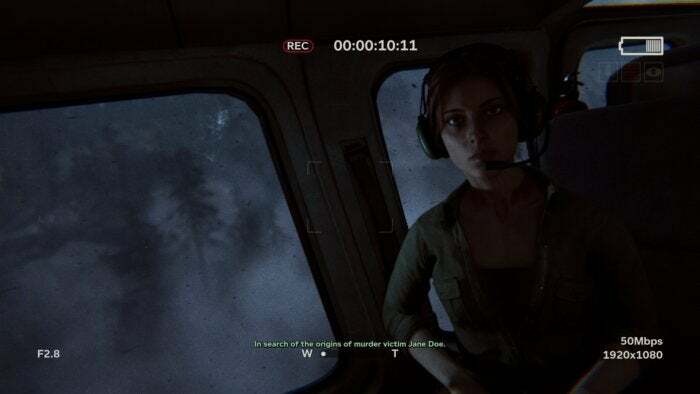 The first encounter with Marta is indicative of Outlast 2’s problems. First you hear her, droning on about children dying or sheep being cracked into bone dust or some such pseudo-religious nonsense. You creep closer, trying to find a path that will take you around this unseen threat. There is none. As you finally get up the nerve to run around the corner of the house, it happens. Marta emerges from the fog, seven feet tall with a black hood. I’m not ashamed to say I jumped. But I thought I was hidden. That’s how the original Outlast played—you hide, you’re safe. I stayed in the shadows, sure she hadn’t seen me yet. Wrong. Enemies in Outlast 2 are often weirdly omnipotent, and she beelined to my “hiding spot,” impaling me through the stomach. So I started over. This time I ran back towards a shed I’d passed, sure I was supposed to duck inside. Nope. Locked. Dead. Third time I tried to kite her around a rusty car frame. Dead again. And so on. I finally realized I had to sprint back to where the checkpoint had started, climbing back under the fence I’d come through, then...turning around and running back to where Marta had initially attacked. Except this time she was inexplicably gone. Outlast 2 is obsessed with this trial-and-error, die-a-dozen-times feedback loop. Marta is the worst of the lot—her four or five appearances in the game are downright frustrating, as you exploit her slow movement speed to duck around corners and try to make enough progress to trigger the next checkpoint. But it is by no means limited to Marta. Outlast 2, especially in the back half, ditches stealth sections almost entirely and replaces them with lengthy sequences wherein an enemy or group of enemies chases you down a corridor or through a field or through a cave or under a building or literally any other setting you can think of in backwoods middle-of-nowheresville. I actually really enjoyed an early game flight through a cornfield. Cornfields are terrifying, as anyone who’s been in a corn maze (especially a haunted corn maze) will tell you. The sound design is wonderful, stalks of corn rustling like gunshots in the still autumn air. The novelty wears off though. Later sequences include either a) One or more dead ends, resulting in an almost guaranteed death or b) A large open area with no apparent exit which you run around in circles until you finally find the two-foot gap in a fence or similarly disguised safe-point. It sometimes feels like Yakety Sak would be a more appropriate soundtrack than the game’s chorus of rusty violins, a dozen enemies sprinting behind your asthmatic main character as you hope for an exit. Die? Start running again. Don’t forget to jump over the table this time! The first three doors are jammed, and you want the fourth (identical) one! Good luck sliding that bookcase out of the way before someone stabs a machete through your chest! It’s frustrating, and once you’re frustrated? That’s it. Contempt. There it is. I’m actually a huge fan of Amnesia-style horror games, as I tend to hear them called—horror games where you can only run and hide, not fight, so-named because of the popularity of Frictional’s Amnesia: The Dark Descent. Hell, my first-ever game reviews were for Frictional’s earlier Penumbra series, which started rough but helped spawn this whole genre offshoot. To me it’s a purer form of horror. Give me a weapon, and if I die I’m just annoyed I didn’t shoot better. Give me zero weapons, I flee for my life. The problem: If you die, it’s ruined. Amnesia-style games walk a delicate line where the player needs to feel like they’re in mortal danger, but isn’t. Death should feel imminent, like the player escaped every sequence by the raised hairs on their neck, could feel the last frustrated breath of the creature chasing them as they bolted through the door and slammed it shut. That’s when this style of horror game is most effective, and it relies on (to some extent) the designer being overly obvious. Clear objectives, obvious enemies, and the ability to signal to the player when it’s dangerous and when it’s not dangerous—and then to occasionally undermine those expectations so the player never gets too comfortable. The original Outlast, schlocky as it appeared, was excellent at this. Outlast 2, not so much. I think it’s a conscious decision. 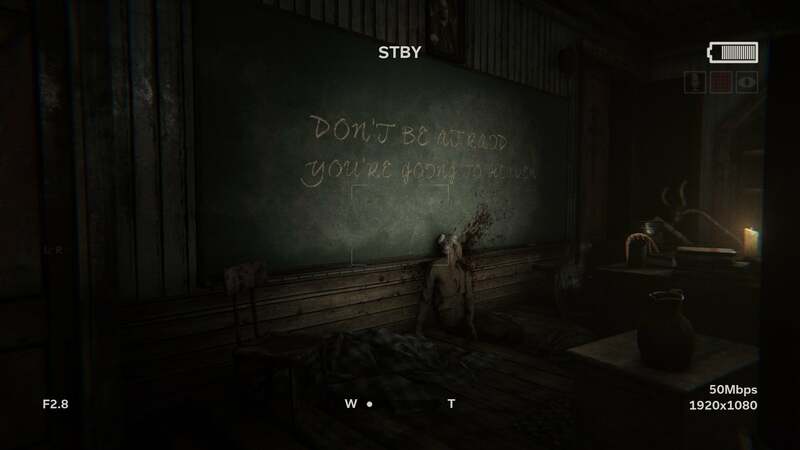 I think Outlast 2 intends to break the rules, to leave the player feeling lost, and helpless because they’re lost. It wants to be ambiguous whether the old woman screaming lines of scripture in the town square is going to attack you or let you wander past. It wants you uncertain. But uncertainty all too often results in death, and this is still an unbreakable rule. There can be no fear if the player doesn’t believe in the game, and the player cannot believe properly in the game if its verisimilitude is shattered by dying and being brought back to life like a third-rate Jesus Christ, punctuated by a loading screen, no less. This problem is pervasive in Outlast 2, but particularly in the back half where it devolves into chase scene after chase scene. Worse, this breakneck pacing then conditions the player to simply sprint all the time. Why not? The game is asking you to do it so often anyway, and the AI is inept enough it’s often easier to outrun them than to try and sneak past. It took me three hours to finish most of the first chapter. Then the chasing started to become more regular and I finished the other five chapters in another three. Occasionally there’s still a brilliant moment, even late in the game. A weird satanist temple, or an excellent sequence that takes place in a darkness so complete that even your night vision camera isn’t useful, leaving you to rely on the camera’s microphone instead. But so much of Outlast 2 devolves into learning the game’s tricks and then refusing to fall for them a second, third, fourth time. If you’re wondering about the story? It only devolves after the opening. Not only is there a weird group of pseudo-cultists out in the woods, there are actually two groups, faux-Christians and Satanists basically. And rather than some complex story where the Satanists worship you as father of the Antichrist or something, it just turns out everyone wants to kill you equally. A few spectacular moments arise from the game’s use of religious imagery as wallpaper, and overall there’s a bit more variation to Outlast 2 than its predecessor. I don’t want to spoil its best moments because, as per my opening, horror relies on surprise. Outlast II does occasionally manage to surprise. So much of it is a slog though, and one that ultimately goes nowhere. 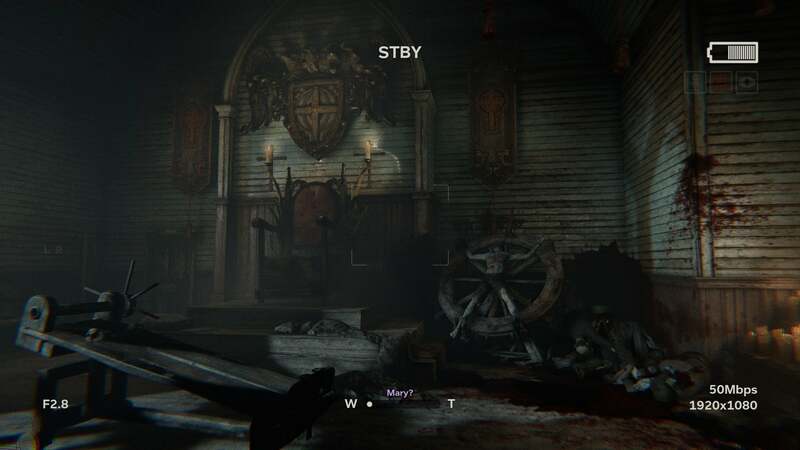 Outlast 2 is a bold experiment in many ways—I can see glimpses of what, I think, Red Barrels was trying to accomplish, ways it tried to shake up a genre that’s become increasingly stagnant. Frictional solved the problem by basically leaving horror behind. Outlast II tries to find horror from new emotions, when relying on the ol’ “hiding under a desk and hoping it doesn’t see you” gimmick doesn’t work quite so well anymore. It’s not a successful experiment for me, though. By the end I’d given up on Outlast 2 scaring me much at all, with the opening few hours still providing most of my favorite moments. 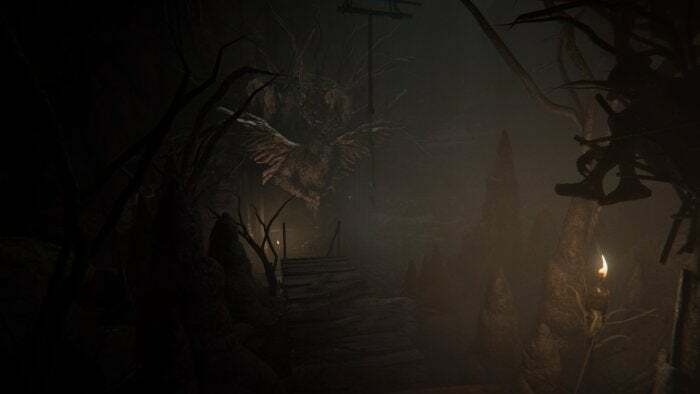 It’s telling that one of Outlast 2’s best chapters is one that involves the fewest enemies, leaving you to take in your surroundings a bit and reflect on the journey so far. The game could’ve used more of that, less being chased down a corridor in the dark and then trying to figure out which door isn’t locked. 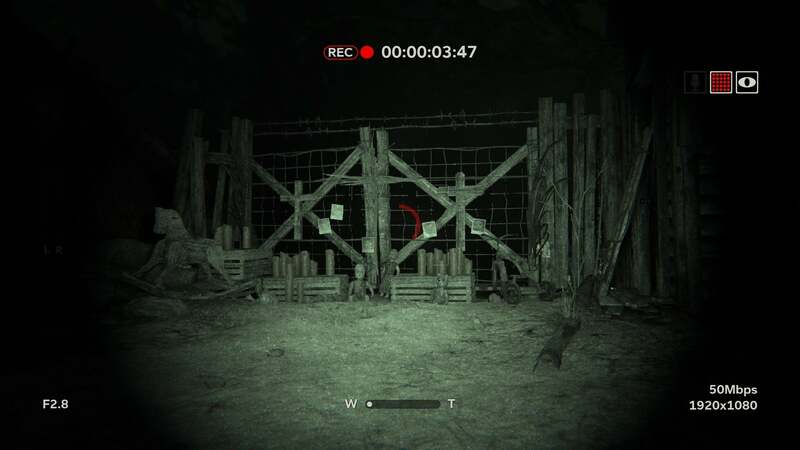 The horror genre is one of slim pickings, and few horror games are done on the level of Outlast 2. Fog-filled streets, moonlit nights, and the shreds of the apocalypse—there’s some amount of fun to be had here maybe, and genre die-hards may find themselves playing through it regardless. But Outlast 2 isn’t the solution to the genre’s issues. Outlast II starts strong, but too often undermines its own scares by arbitrarily killing off the player and replacing fear with frustration.